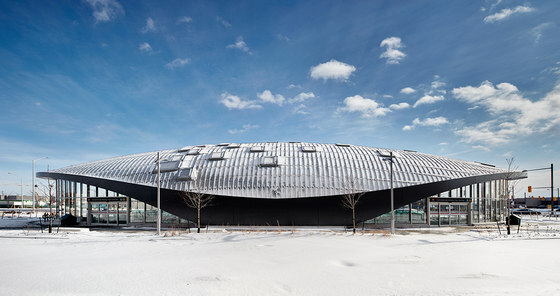 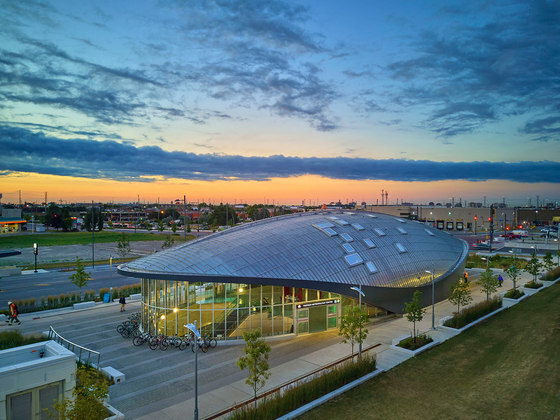 Vaughan Metropolitan Centre (VMC) Station, the terminal station of the Toronto York-Spadina Subway Extension was completed and opened to the public in December 2017. 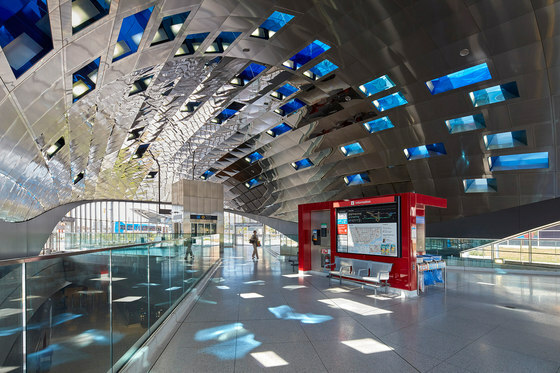 This exciting addition to Toronto’s Line 1 will offer a memorable commuter experience that’s also responsive to the emerging urban centre in the City of Vaughan. 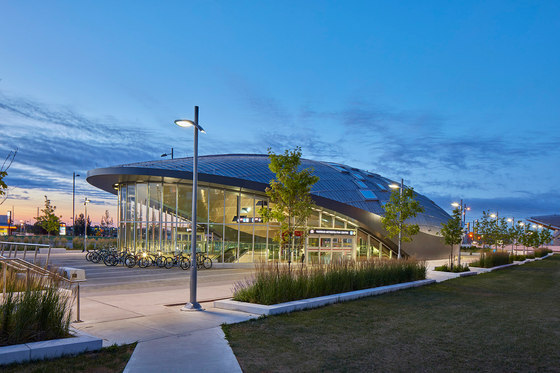 Connecting riders to downtown Toronto and points beyond, the new station creates new connectivity and increased transit options for a fast-growing part of the region. 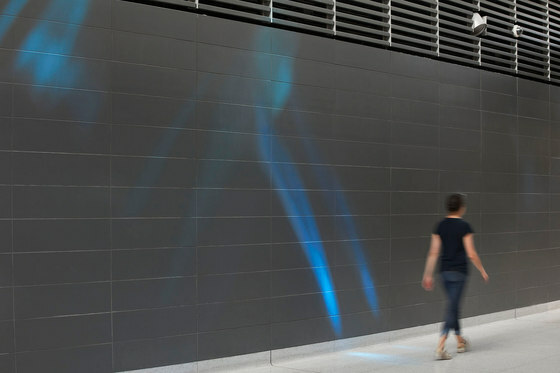 Working under Arup, Prime Consultant, and alongside Architect of Record Adamson Associates and artist Paul Raff, Grimshaw has developed a unique design that’s both artful and functional. 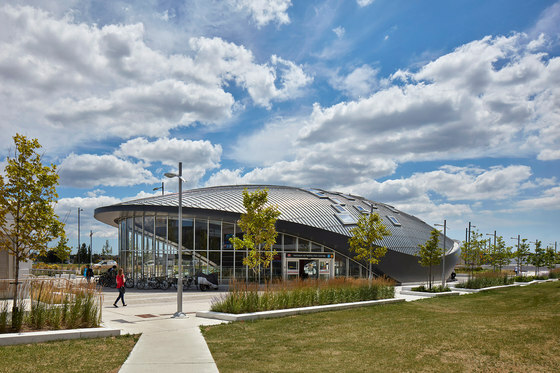 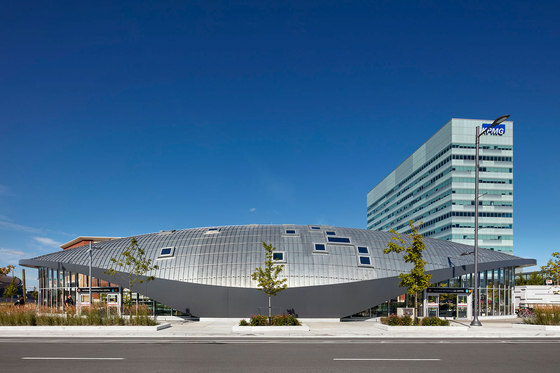 Working with the Toronto Transit Commission (TTC), City of Vaughan, and other stakeholders to develop an appropriate plan, the VMC station was conceived as a transit mobility hub and precursor to expanding mixed-use development at the site. 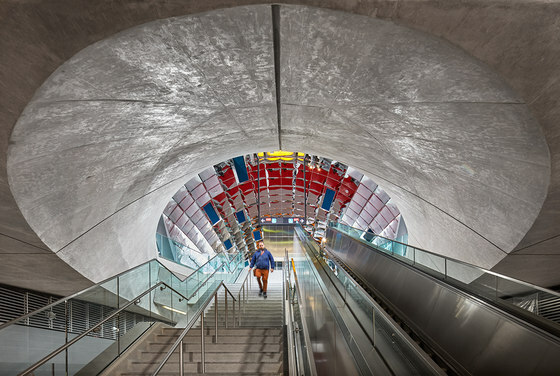 Grimshaw was challenged to imagine a new city around the station and create an iconic head house that would become a focal point and organizing element. 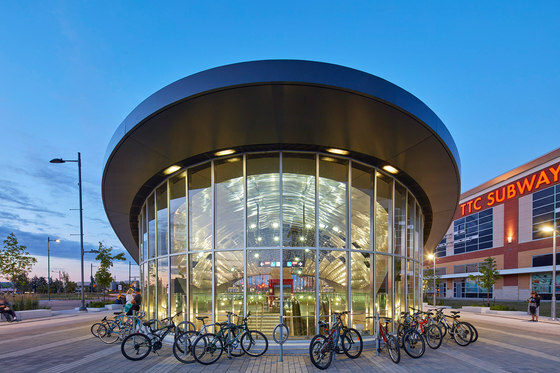 The station is an important link for residents, creating connectivity and offering transportation alternatives across a rapidly growing region. 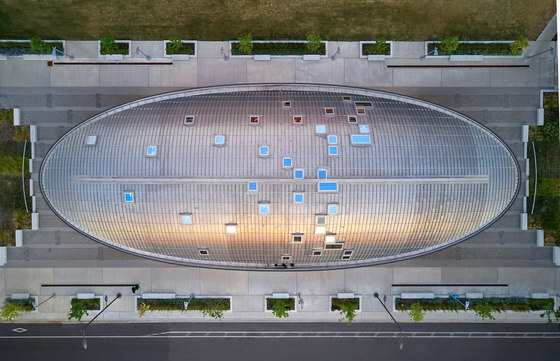 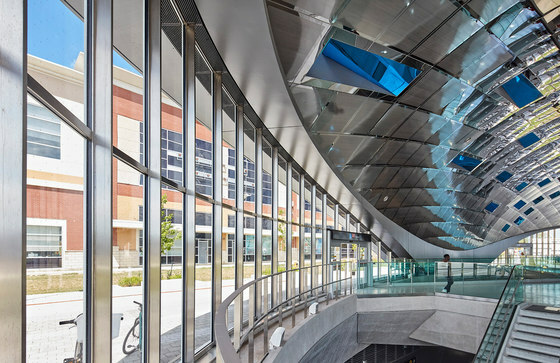 The design of the station is underpinned by a desire to bring daylight deep inside and provide intuitive routes into and out of the airy headhouse structure. 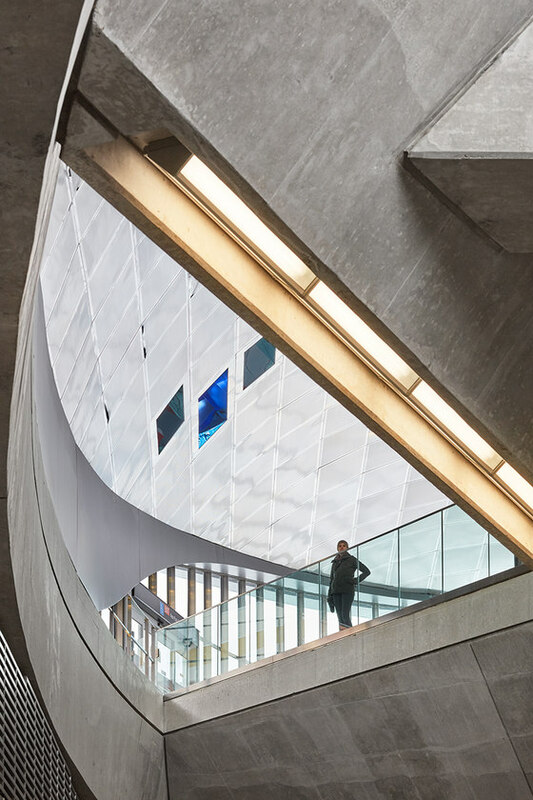 To achieve this, a dramatic X-shaped bridge at street level connects the building’s four corners, creating voids that reveal glimpses of the platform and trains below. 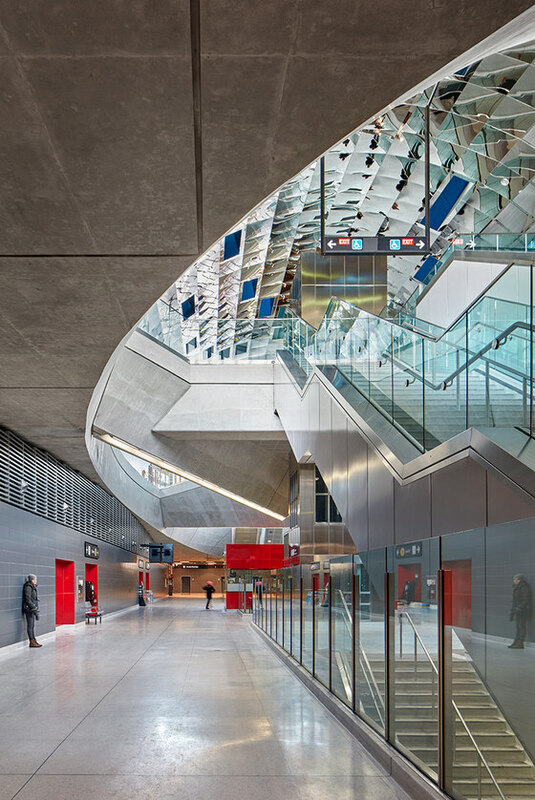 Routes to the stairs, elevators and fare gates beyond are easily discerned from every entry, eliminating bottlenecks while taking advantage of clear sight lines across the station and through glazed portions of the exterior. 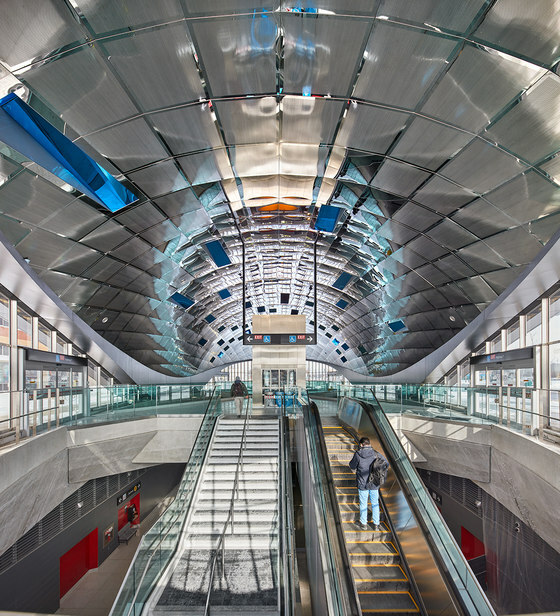 Beyond convenience and ease of use, the geometry and transparency creates a safer, more secure transit environment. 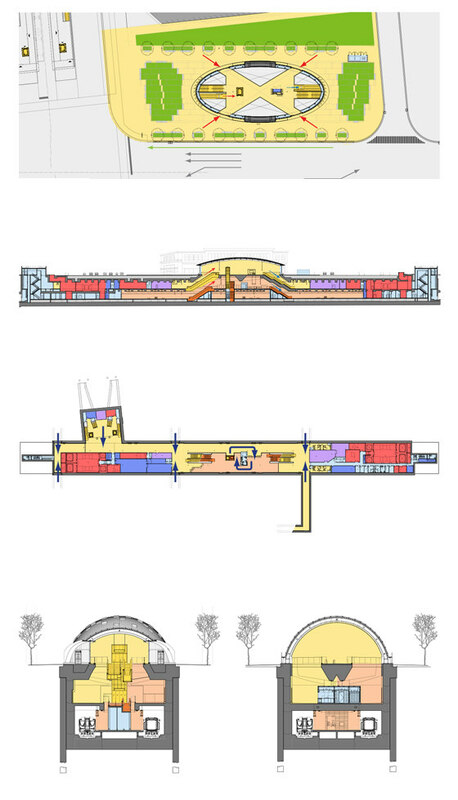 Space earmarked for future retail opportunities will bring additional amenities to the station. 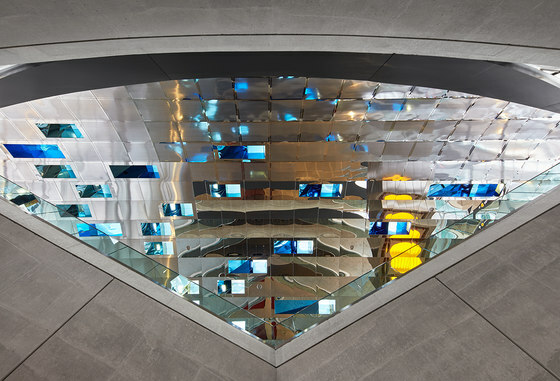 A brilliant installation by artist Paul Raff soars across the station’s ceiling, utilizing mirrored surfaces to redirect light and create a constantly kinetic environment activated by station’s users. 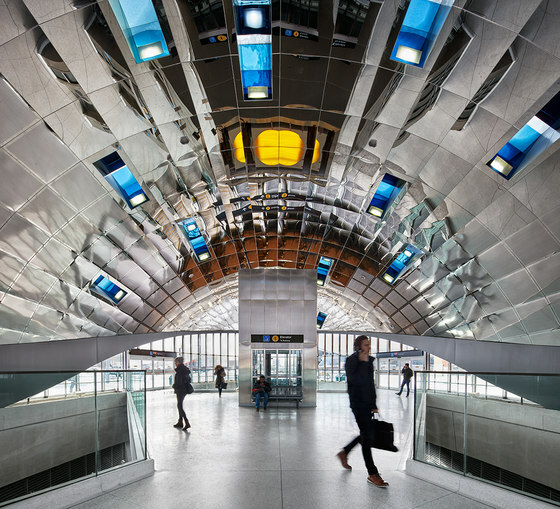 Capturing the drama of pulsing trains, moving passengers and changing light conditions, the collision of art and architecture creates a distinct sense of place. 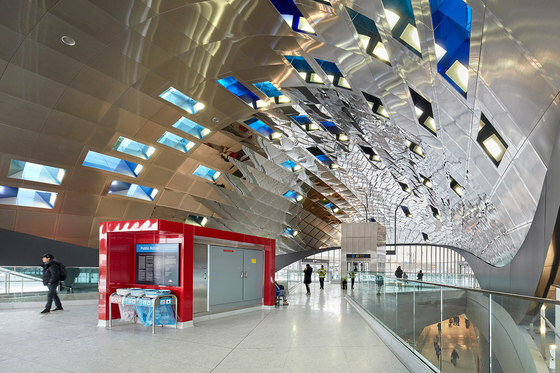 VMC is the terminal station of the six-station, 8.6km extension of Toronto’s Line 1 from its current terminus at Sheppard West Station. 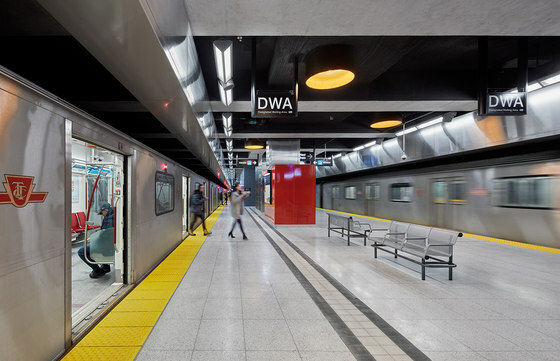 It is the TTC’s first subway expansion project to connect the City of Toronto and The Regional Municipality of York.